For those who are big on importing or export goods, here is some good news for you; a new mobile app by ZimBorderGuide known as MyTaxmate helps with tax issues at the borders. 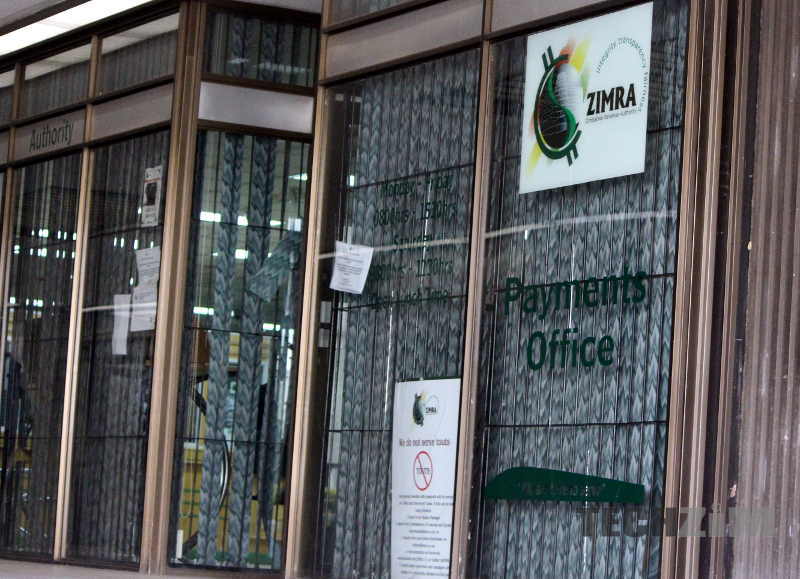 The MyTaxMate app has a number of utilities which include easy access to ZIMRA’s e-services; a duty calculator; the tax payment calendar, Border related news and blogs; as well as tax tables. The app is only one of the many ZimBorderGuide tools which are used to bring together the government departments responsible for customs and immigrations into a single platform. With the aid of a duty calculator, someone can easily know the duty of their goods prior rather than on site, thus helping individuals to budget enough money and not be stranded at the border. Giving the app a spin, I noticed that the duty calculator was particularly designed for vehicles. I’m not sure if they intend on upgrading it with time so that it carters for even more goods. Nevertheless, the calculator is handy and fairly easy to use. All you need to do is enter the cost of the vehicle, the vehicle type (as in which class it belongs to e.g class 2) and lastly the year of manufacture. Thereafter, you can press the calculate button and the calculator will display the customs duty, VAT, Surtax, total payable tax and ultimately the vehicle’s landing cost. Besides the calculator, I also found the border news and blogs feature quite useful in increasing the knowledge base of users hence assisting them in making much more informed decisions. So not only will you know how much to budget for duty during the planning stage, but you will also be made aware of how the border is operating within the period you are interested in. This is quite useful considering that there are cases where borders do not operate as usual. A good example is some time last year when a good number of people were greatly inconvenienced at the Beitbridge – South Africa border due to a shutdown they were not aware of. Had the App been available then, they would have probably known and postponed their trips. Other important updates could the information like SI 64 whose announcement meant certain goods could not be imported anymore. See, generally people do not like digging for information. They actually prefer information that’s both readily available as well as easy to access; and this is what the App seeks to do – make information available at the tip of people’s fingers. Hopefully, MyTaxMate will also be helpful in eliminating the greatest hassle associated with the Zimbabwean border: corruption! I say so because I believe that knowledgeable people are not easy to cheat or aimlessly toss around. To get the app you need to first purchase the ZimBorderGuide e-book on their website, and they will send it to you for free. I hope they also have a website. That would cater for those that do not use the border regularly. And, their info can also be googlable kkkk. Well done. we need more and more if such apps. a deliberate move to monetize app, then monetize the app itself, there are several other ways of achieving that than hiding it behind the sale of the guide because for your intended audience, the app will probably be more handy as it sits on their device which everyone keeps on their person all the time. @Techzim, how about some screenshots with your review also there’s no mention on which platform the app is available on (Android, iOS, Windows etc), let’s have more depth in your reviews, I believe this app is bigger than how your essay portrays it, show us the app in action. Thank you for your comment , we will definitely put your opinions into consideration. The App also comes with an embedded e-reader that has the guide in it, purchasing the guidebook essentially means that you get an e-version available in PDF or paperback and also the mobile version available on the app. The Duty Calculator, Tax Payment Calendar, Tax Tables, Border News and Blogs are extra and free features that come with the purchase of the guidebook. The Duty Calculator feature in itself has continuously changing variables like tariff rates. Currently the Duty Calculator addresses duty calculation for motor vehicles, but developments are already at advanced stages to incorporate all products in the ZIMRA Intergrated Tariff, However, for the platform to serve and address the duty calculation needs of other products. The guidebook has a section with a list of Duty Rates for the Commonly imported goods, a complete list of all Duty FREE products and detailed step by step instructions on how someone can calculate their own duties from the rates provided. Therefore someone who purchases the guidebook can still benefit on duty information of other products even before the fully fledged duty calculator has been released. So as you rightly suggested the app and the guide will sit on their device and can be readily accessed during their trip or import or export planning stages. Changes on tariffs will being automatically updated for everyone who has the app installed and other useful features for travelers, importers and exporters will continue to be added. Some of these include things like an exchange rate calculator and others that at this moment we cannot mention but would be a very big bonus for a person who already has the app installed! The App is currently available on Android. Access to IOS and Windows is upon request but the official versions will be releasing soon. Thank you for your very insightful comment, The guide features topics meant to assist someone through the various procedures required of anyone once at the border. There are very detailed topics focused on time and cost saving advice for Individual or Commercial Importers and Exports. On the latter the guide explains in detail the requisite licencing, various procedures and steps on how individuals and companies can cost effectively get into the lucrative Export and Import business Some of the topics included are, “How to legally reduce costs on Customs Duty, Duty Free Allowances, 2017 Complete Duty FREE List, How to import a vehicle into Zimbabwe, Commercial Import and Export, Best practice when travelling with children or pets” and a lot more other useful topics. The Guidebook can be bought through the Zimborderguide online store. The store accepts payment through Ecocash, Telecash, Visa, Mastercard and Zimswitch. Delivery of the guide is covered throughout Zimbabwe and even across the border. The Guide can also be bought through various Zimborderguide distribution Agents who include Individuals, Companies, Bookshops, Libraries, Bus Depots, Cross Border Bus Operators, Airport Lounges, Service Stations among others. On purchase from the Zimborderguide website a buyer will not only receive a secure link to download the APP but will also be presented with a list of approved Agents where they can collect their hard copy. Agent registration can also be found from the website.